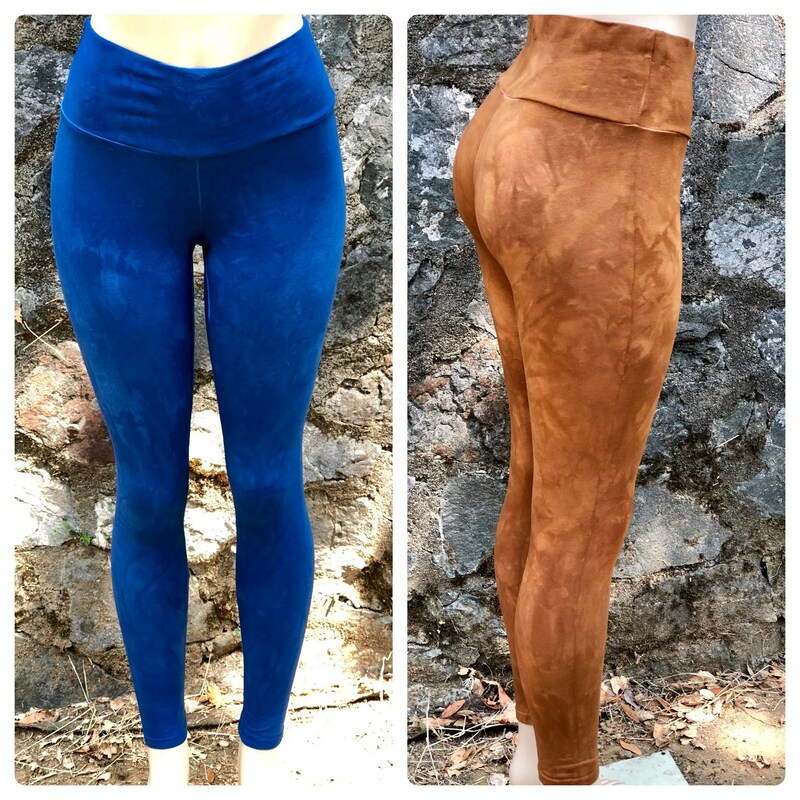 Δ Comfortable wide waist leggings, perfect for yoga, movement arts & lounging! 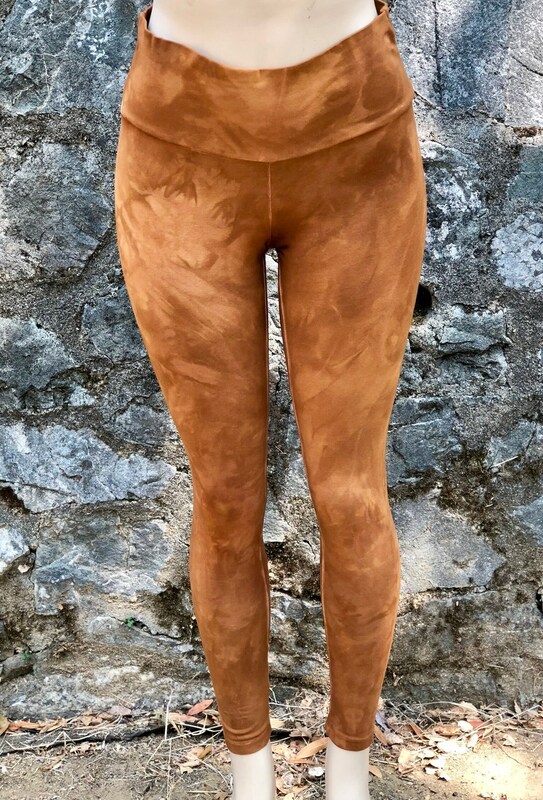 Δ Cotton/Spandex Jersey, 95% Cotton / 5% Elastane construction. 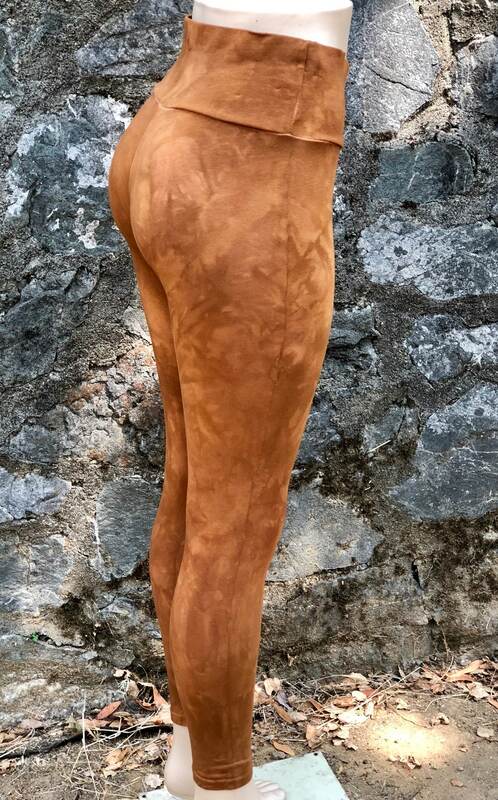 Δ Hand Dyed by us using fiber reactive dyes and a VAT dye technique, making each piece unique and beautiful. You can expect naturally occurring variations in each piece due to this process. 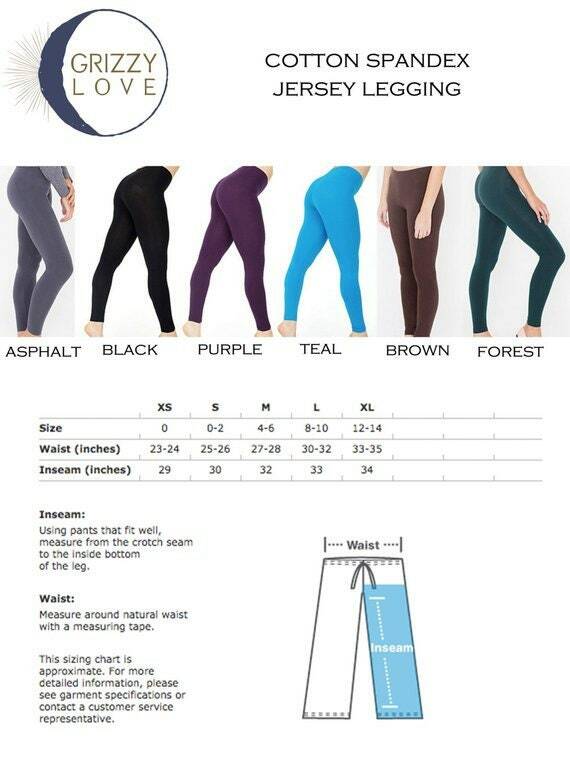 Please refer to last image for size chart and measurements.